You can use user and password based authentication to push git changes to GitHub. But it is cumbersome to type user and password with every push. A better alternative is to use ssh key for authentication while pushing. Here are steps to setup ssh key based password less authentication with GitHub. First create a public/private key for authentication. 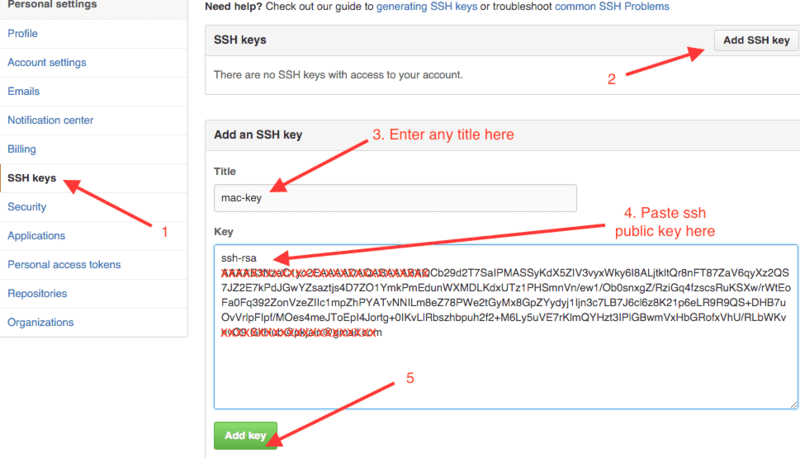 You can create ssh key pair (without passphrase) as mentioned in the linked tutorial. You can use the following location for two generated files. Once you add your public key, you should see it in the list of keys in your account. Hi user1! You've successfully authenticated, but GitHub does not provide shell access. 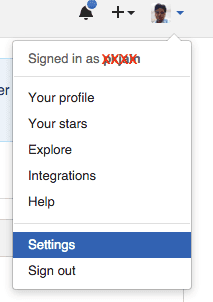 Now make any test change and commit locally. To push to origin run the following and it should not ask for password.